Following the persisting rumor that Tesla is planning a “facelift” or at least new options for the Model S starting this spring, we learn that the automaker could also increase the price of its flagship sedan in the US as soon as next month, right after the Model 3 unveiling set for March 31st. We are hearing several reports of Tesla representatives reportedly warning prospective customers that the Model S will see a price increase by the end of April. Although we’ve been hearing this since earlier this year, now Tesla salespeople are reportedly using the information to help convince potential buyers to lock in the price of their Model S order by the end of the month, which also coincides with the end of the first quarter of 2016. Of course, this information should be taken with a grain of salt since salespeople at Tesla are often kept in the dark about upcoming product announcements in order to minimize the risk for leaks, but in this case, at least the reports are consistent between Tesla retail locations. Tesla regularly end up making a push at the end of each quarter to meet delivery guidance (16,000 unit this quarter), which often results in a lot of deliveries being scheduled for the last few weeks or days. We hear that the price increase could also be related to the recent standard additions in the Model S design configuration, including the new center console and the Slipstream wheels. The reports also come just after it was revealed that Tesla is working on a new higher-end Model S, the P100D, which could mean that the price increase will simply match a new top of the line version. Although a light redesign is also a likely possibility. It’s standard in the industry after a model has been on the market for 4 or 5 years and the Model S will be 4 years old this summer. 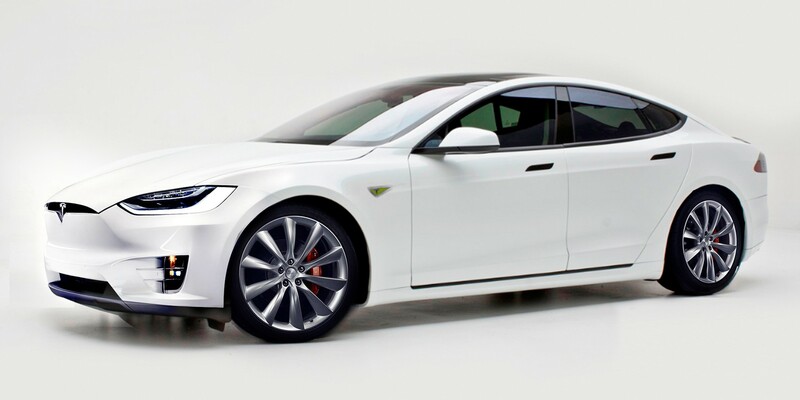 Some are expecting hoping for Tesla to introduce the Model X’s front-end in the Model S – see rendering above. It wouldn’t be too surprising if Elon Musk had a Steve Jobs-like “one more thing” moment at the Model 3 unveiling on March 31st. The company would likely want to keep the focus on the Model 3, but the car is not expected to be available until late 2017, and although the Model X backlog should help the company, Tesla will still need to keep people interested in its flagship car. A new higher-end version and facelift could do the trick, or maybe a new Autopilot suite?